You know those day's at the end of the week when you are feeling a bit frazzled after a week of school runs, after-school clubs and chores and you just can't be bothered to cook? 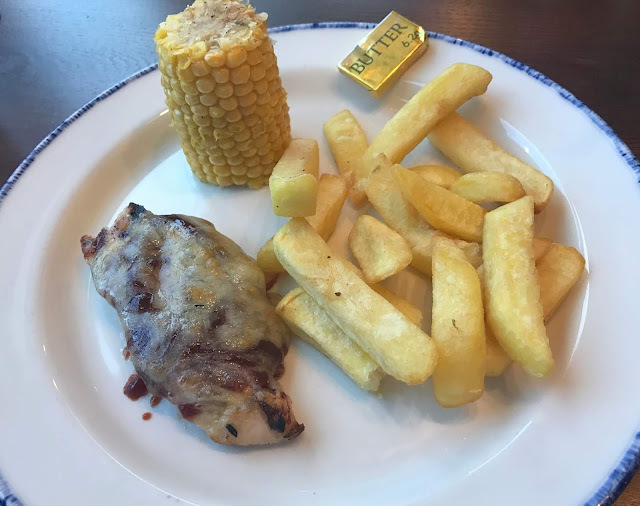 Well, that was me last week, after a busy week and with no motivation to cook that evening I decided to take the kids out for tea so we could catch up on what they had been up to at school and so I could have a break from cooking and the dreaded dishes. 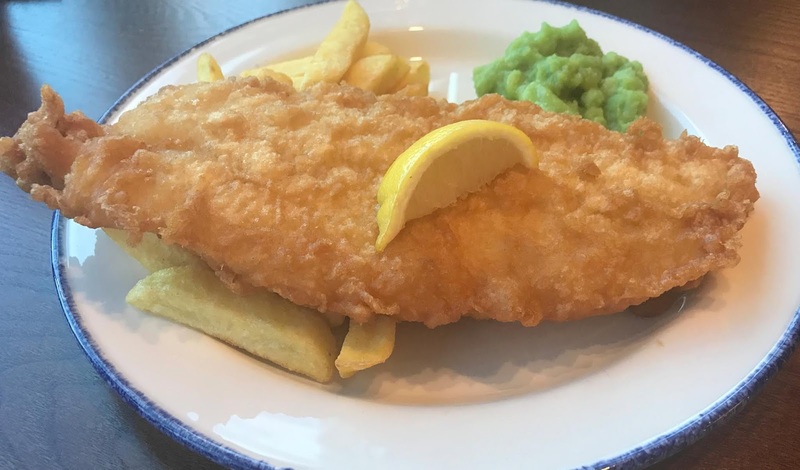 Finding somewhere to eat with kids can sometimes be a bit tricky, with fussy eaters and kids who don't sit still we always try and head somewhere family friendly with a relaxed atmosphere that serves food that the children enjoy. 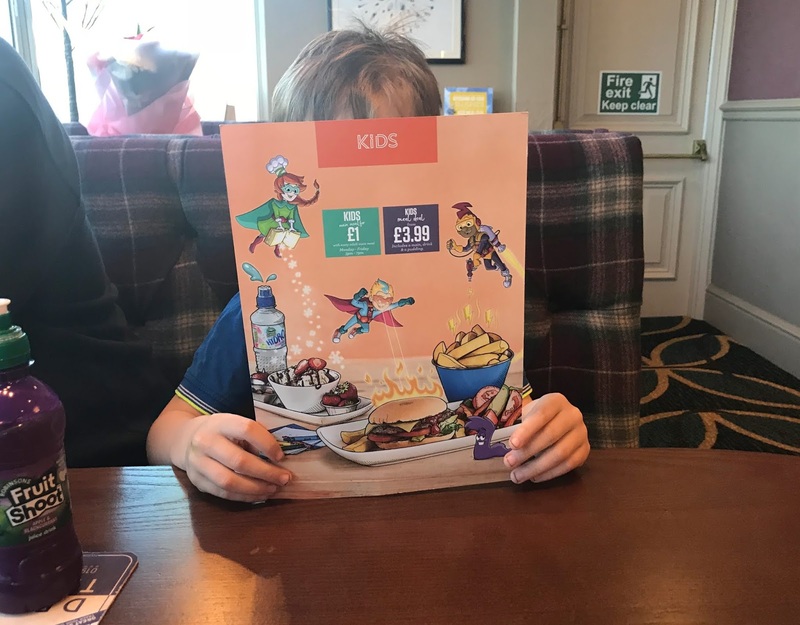 One such place is our local sizzling pub, which serves pub food the kids (and us grown-ups) enjoy, plus it is such great value for money too. I was recently invited along to the recently refurbished The Highwayman Sizzling Pub which is on Whickham Highway in Gateshead, not far from the Metrocentre. I have never visited The Highwayman before so we headed there for tea last week after school with my dad. Arriving at 4pm on a Thursday tea-time the pub was fairly quiet with just a few other customers in. There was plenty of parking in the car park and we were served fairly quickly at the bar by the friendly barman who was our server for the evening. We were seated in a large booth near the window and it had such a great view of Newcastle in the distance, you could see the Tyne bridge, St James Park and other familiar landmarks so clearly. After a quick browse of the menu, we ordered at the bar and settled back down in our seats with a drink to enjoy the view and catch up on what the kids had been up to at school that day. 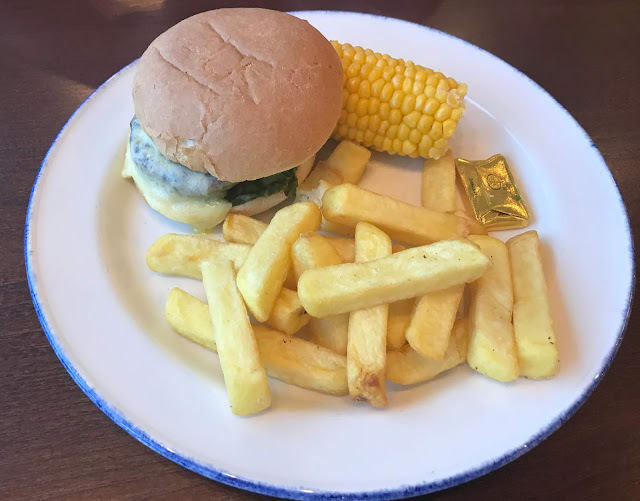 After a short wait our meals arrived Cheeseburger in a bun with chips and grilled corn cobettes for Sophia and BBQ chicken with chips and grilled corn cobettes for Jacob. Kids meals were great value at just £4.99 for a main, drink (the kids had fruit shoots) and dessert. 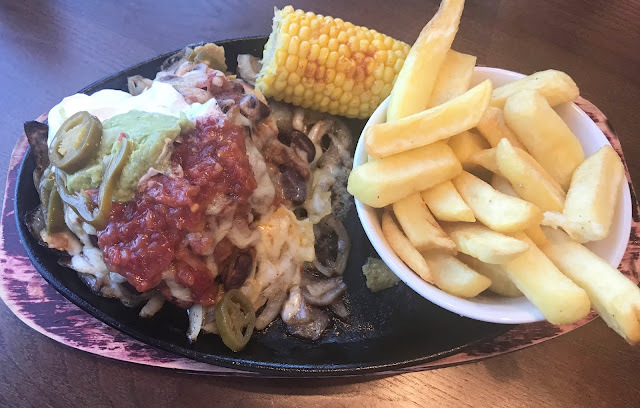 My teen ordered the Messy Mexican chicken which was a Fajita spiced chicken breast topped with chilli con carne, crushed tortilla, grated cheese, jalapenos, sour cream and guacamole. This dish originally came with rice and fajita spiced corn but she was easily able to swap the rice for chips. At £7.49 it was a generous sized portion which she enjoyed, although she did say that it was not at all spicy like she was expecting. My dad ordered cod and chips with mushy peas £7.29 which he seemed to enjoy. While I decided to try something different and ordered the Crispy sweet chilli beef (£8.99) crispy strips of beef topped with sweet chilli sauce on a bed of sizzling onions and peppers, served with rice, giant prawn cracker and jug of sweet chilli dipping sauce. 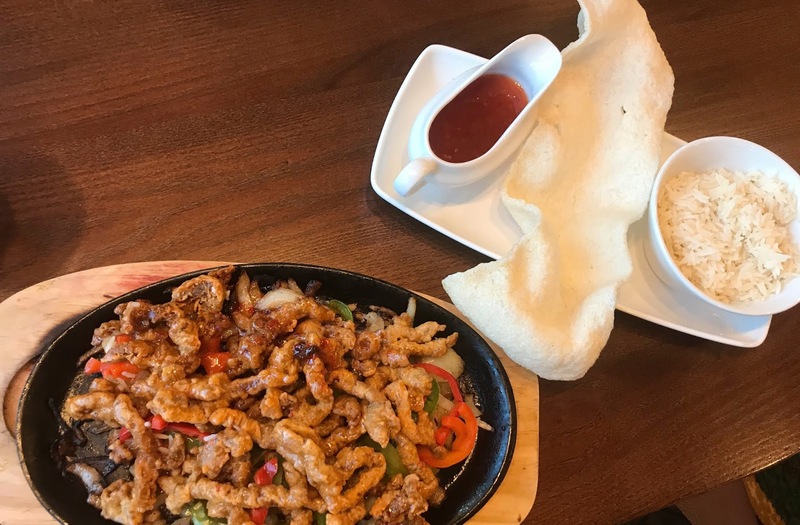 My meal came out sizzling and was a generous portion size, personally, I thought that the sweet chilli beef lacked flavour and I don't think I would order it again as I know that sizzling pubs serve much better dishes that I enjoy more. 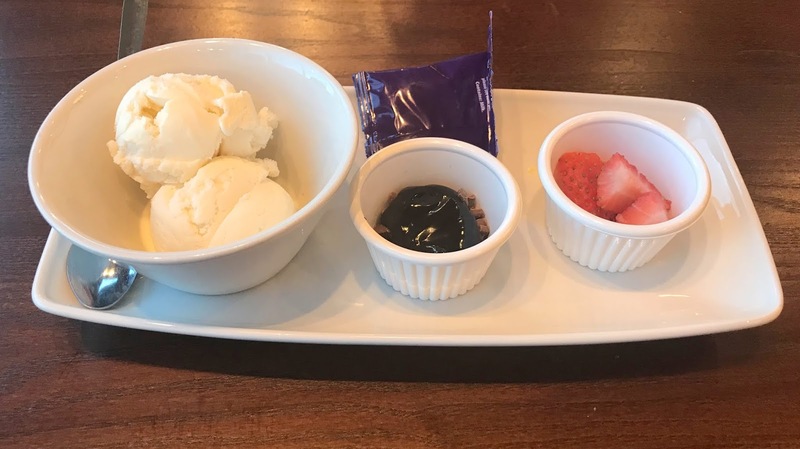 The three kids ordered pudding, the younger two got the Build your own sundae which was included in the price of the kid's meals. Two scoops of vanilla ice cream, Cadbury buttons, fresh strawberries, chocolate pieces and chocolate sauce it is a fun dessert that the kids always enjoy. My teen opted for her all-time favourite chocolate fudge cake with vanilla ice cream and Belgian chocolate sauce £3.99. 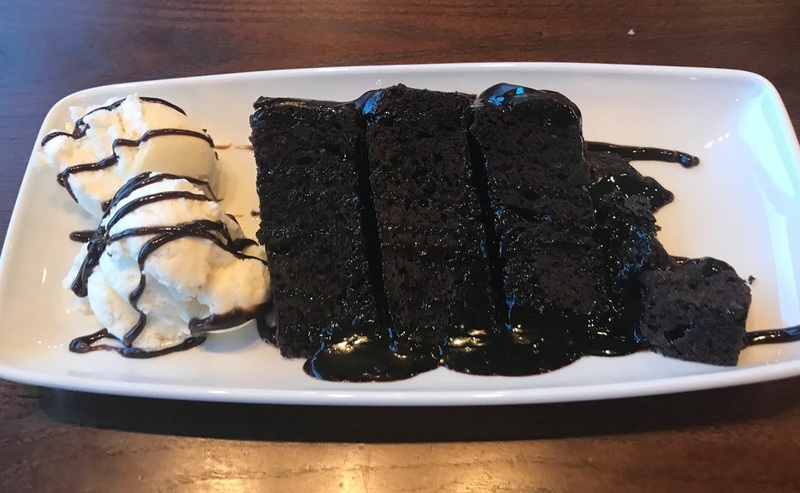 Served warm this huge wedge of chocolate fudge cake satisfied her sweet tooth. We spent a nice hour chatting over our meals, the Highwayman had a really laid back atmosphere to it and it seemed popular as it was getting busy as we were leaving. It made a nice change heading out for tea with the children after school, they all enjoyed their meals and left the pub with full little tummies ready for the drive home. Best of all I had no washing up to do hooray! Our bill for the evening was under £45 and that was for three adult mains, two kids meals with drinks and desserts, three large soft drinks and one dessert from the main menu. They also have cheaper options on the menu such as two adult meals for £8 if you wanted to spend less. Have you visited your local Sizzling Pub lately? Disclosure we were invited to review The Highwayman Sizzling Pub and received our meal free of charge for the purpose of this review. Those meals look delicious - especially the messy Mexican chicken and crispy sweet chilli beef (two of my favourite foods!). It's great that they have such variety there! Great review here. The food looks very yummy. I bet it was. I absolutely love pub foods and the Highwayman sounds like such a great place to enjoy a meal as a family.